What better way to learn more about us than to read what our employees say about us? Therefore, you will find here interviews with your future colleagues. This way, you get to know the team and learn first-hand about our daily work routine and the development opportunities offered. As Group Accounting Officer, Anastasia Hankina mainly takes care of the monthly, quarterly and annual consolidated accounts of the IRS group. 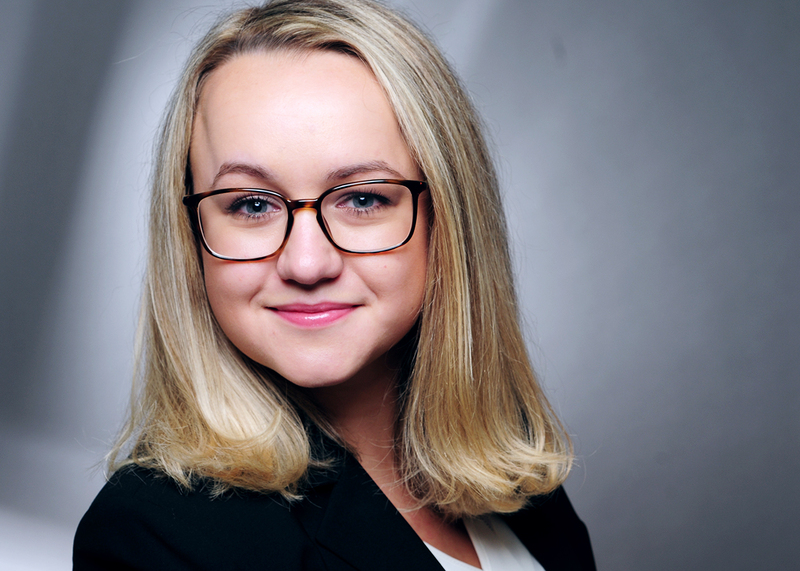 She is the point of contact to auditors, the management board as well as her colleagues in all matters related to bookkeeping – not only in Germany but also at the Scandinavian locations of the IRS Group. "I used to work in auditing. That’s why I wanted my new job to be anything but boring. I could already tell during the job interview that the position was going to be very diverse and open to constructive input." "My colleagues and I have had the opportunity to actively contribute to the group’s operations. We are in a growth phase right now. Our efficient decision-making processes enable us to quickly implement and utilise innovative ideas. We, as employees, are given a chance to have our say and are involved in decisions. This makes it important to have a great working atmosphere. The IRS Group is also committed to open communication." "Our flexible working hours allow me to integrate my personal interests very well into my daily schedule. In my spare time, I enjoy doing sports and going to the occasional concert to balance out my professional life." Benjamin Kahl oversees several key areas: With his nearly 30-strong team, he keeps track of the administrative financial and IT processes. To reliably control them, he naturally needs the appropriate systems, but, most importantly, a well-coordinated team that gets along well and enjoys working together. 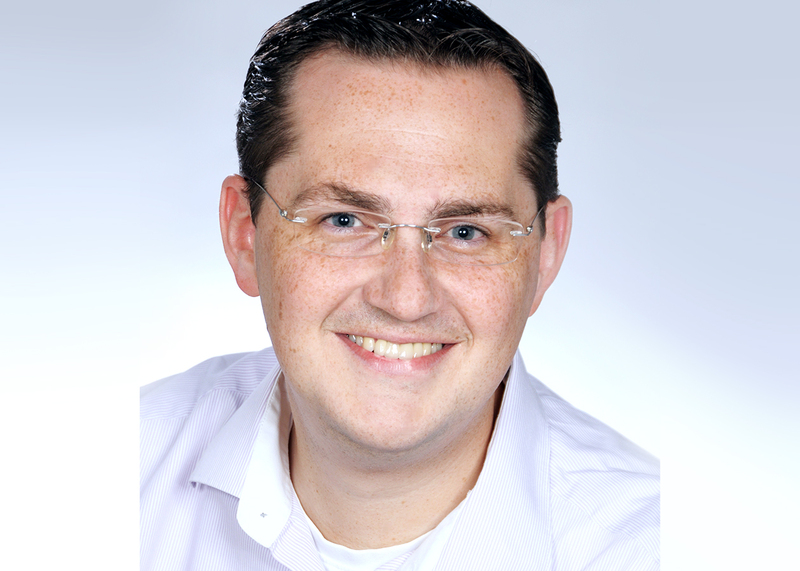 Benjamin Kahl has established both at Dent Wizard, a large associated company of the IRS Group, and developed them further at the IRS Group. "At our company, you have to be prepared for a new task every day. That’s what I particularly enjoy about my job and why I have stayed here since 2006. Having this much variety was something that I was often missing at my previous employers. The IRS Group’s tremendous growth offers everyone freedom for individual development. We constantly learn new things and can choose to take on lots of responsibilities, enabling us to grow both professionally and personally." "We are all about flexibility. This also means keeping an open mind, because we constantly need to familiarise ourselves with new subject areas. But, fortunately, there is a great team spirit among employees, so you can always get a helping hand when you need one. We support an open door policy, which means you can walk right through and talk to the management when something is troubling you." "I believe that when employees are happy, their performance and motivation increases automatically. That’s why we make sure to hire employees that fit in well with the team and, simply put, have the right chemistry. Apart from human resources and the respective department, we are therefore often joined by some of our team members during the second or third round of application. The human element is very important to us. Our employees are not numbers – they are people that know and appreciate each other." Finn Petersen supports the German businesses in integrating the pierre.dk paint concept into their range of services. Sharing knowledge and thereby distributing novel, high-quality solutions and making them available to more people is what Finn Petersen finds particularly exciting about his job at the IRS Group. 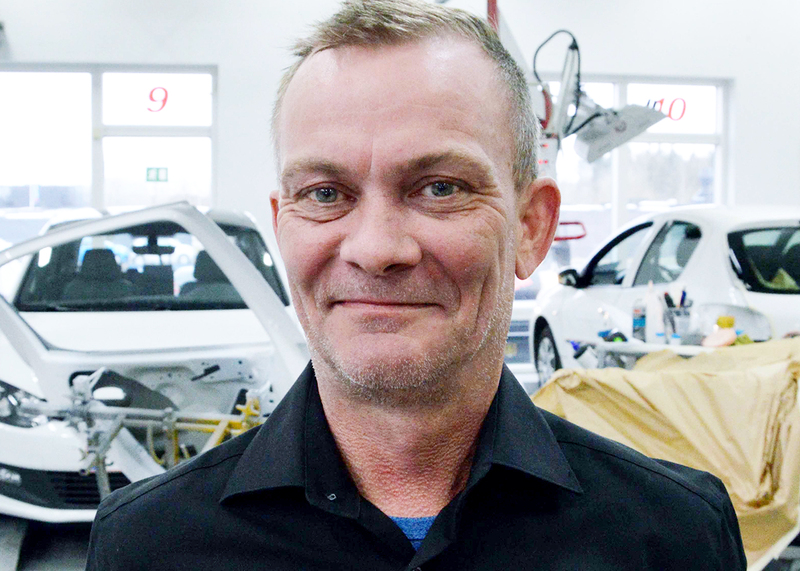 "For 11 years, I’ve been driving from paint centre to paint centre, initially only in Denmark, today also in Germany. We solve problems, create successful changes and learn from each other to continuously optimise our processes, quality and service – until everything shines like a fresh coat of paint, so to speak." "It’s a great job to communicate the best of each branch and various countries so that other businesses get to benefit from it as well. Although car painting is the same everywhere, it’s still an interesting and educational challenge, because the German workshop structure and culture is entirely different. It may be hard to believe, but in many areas, German and Danish paint shops are worlds apart." "To me, there is simply nothing more exciting than sharing experiences, knowledge and even culture while surrounded by polishing machines, abrasives and spray guns." "Of course, working in a job that requires you to spend a lot of time abroad wouldn’t be possible without a family that has your back. We have five children, but only the youngest still lives at home, so that’s not a problem anymore. But my wife always says that my family comes second and my job comes first." 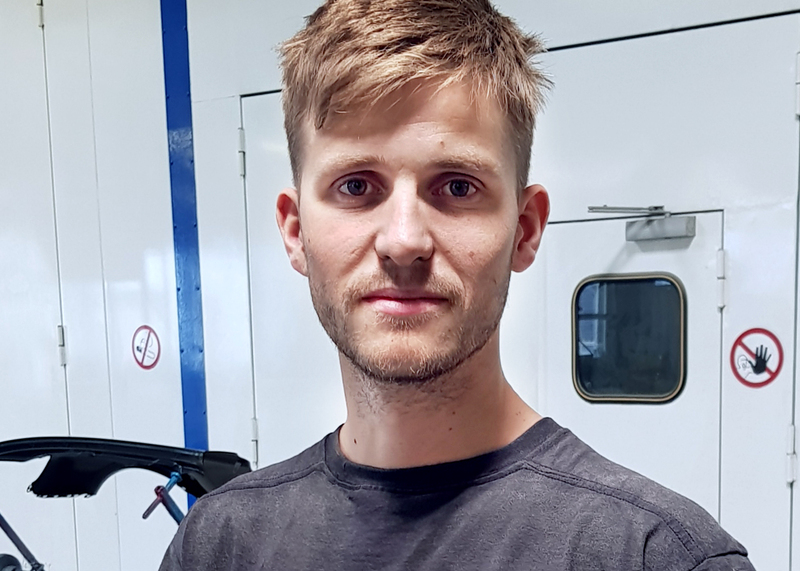 Vehicle paint technician Jakov Rukaber has been working at the IRS Schadenzentrum Meyer Ronnenberg since he completed his vocational training in 2011. The combination of an easy-going working atmosphere and the safety of a large business is what he finds particularly appealing. This is also reflected in the diversity of his tasks. "I think the company has a strong family feel to it, even though it is not family-run. Basically, the same people who worked here back when I started my training are still with the company today, except for those who retired and the new trainees. That’s why everything runs smoothly and we really enjoy working here." "We have three departments; one of them is paint preparation, where I work as a master alongside three journeymen and one journeywoman. The other two are body work / maintenance and refurbishment & finish. In addition, we have recently opened a car repair shop right in our yard." 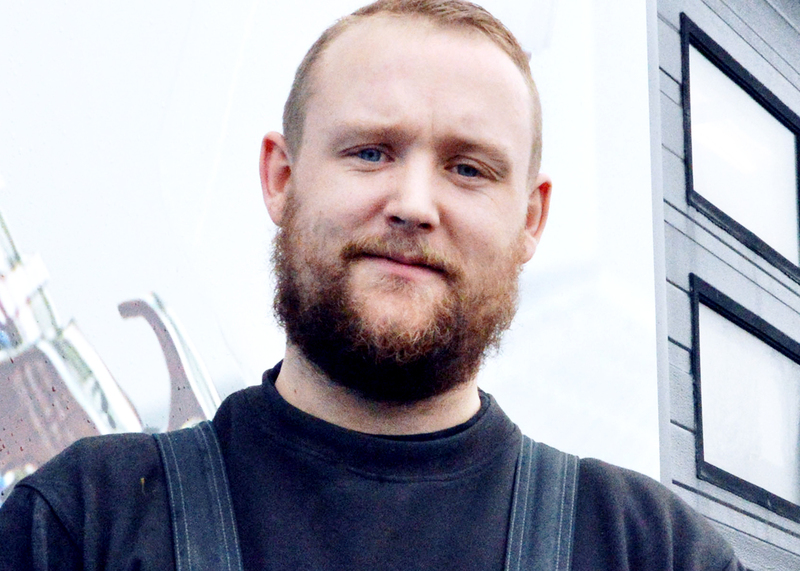 "As a paint technician here at IRS Schadenzentrum, I’m faced with completely different challenges than in a specialised workshop. I’m rarely doing the same work two days in a row. Every working day is different from the last, which makes my job here particularly exciting." "The customers we serve as the IRS Group, predominantly insurance companies and large car dealers, expect particularly high quality standards. For example, this applies to the composition of paints. That’s why we work exclusively with original spare parts, using state-of-the-art technology. That’s definitely something special." "I still enjoy doing this job very much because it presents me with a new challenge every day. And even if you decide to take your career in a different direction at some point, like becoming a master technician, you’ll have plenty of opportunities for further education after your training." 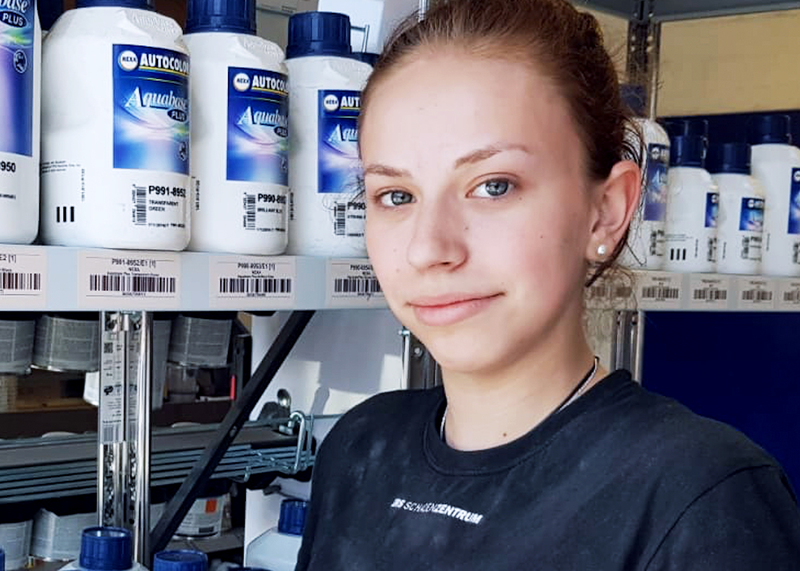 A 6-month long-term internship at the IRS Group convinced Jasmin Westermann: She wanted to become a vehicle paint technician – at IRS Schadenzentrum Bahrenfeld in Hamburg. She has now already completed the first year of her vocational training – and is still enthusiastic about the diversity of tasks and the great responsibility given even to apprentices. "I grind new parts, restore bumpers, wings and body parts – but no task is like the other, because there are always specific customer requirements to be met. So the job involves a great deal of creativity. There is never a dull moment and that’s what I like about it, of course." "There are eight people in our team, including myself. Whenever I need a little help or have any questions, I know that I can ask everyone here for advice. We are a bit like a family. Even though I have a lot of fun here at my job with my co-workers, I get challenged on a daily basis, because many tasks require a high level of concentration." Mark Henneberg has been working at the IRS Lackzentrum for more than 13 years, since last year as Head of Department. He has grown with us, has learnt with us and has improved with us. The career advancement to head of department was thus the next logical step for both us and him. He bears the responsibility for his team while staying part of it, following the example of his predecessor. "My career at this company has felt like a completely natural development to me. Of course, you need to work hard and be willing to grow. But there is no need to elbow your way to the top around here. We all work together and advance together." "Of course, I now have the overall responsibility for my eight fellow team members. But we discuss upcoming things as a team, because at the IRS Group, we are committed to respectful interaction. That’s the way I learnt it here and that’s how I want to keep it." "It’s really a big help that our head office handles most of the administrative work. So I don’t need to worry about payroll accounting, orders or customer contracts. I can focus on what my team and I do best."